The first thing you'll notice with freezer burned food is the discoloration. Red meat will typically turn brown or gray, while chicken will become darker. These spots result from chemical changes in the food's pigment caused by overexposure to air. Since the condition of freezer burn is caused by dehydration and oxidation of food, you'll notice that affected food like meat and vegetables will appear dried out and shriveled. The loss of water during this process dries out the food, giving it a leather-like, dry texture. The water molecules that were once inside the food go through sublimation and can go right from a solid state to a gas. Those air molecules still contain the food odors, causing a distinct smell when the freezer door is opened. While freezer burned food is completely safe to eat, it certainly has a negative effect on the taste and flavors. When you take a bite out of a cooked steak that underwent freezer burn, it will taste dry and nearly flavorless due to the loss of water molecules that contain much of the food's flavor. Freezer burned food is edible, but the taste can be best described as "unpleasant." The ultimate result of freezer burn is food waste. Removing the affected portions of food is one solution, but many restaurants and commercial kitchens will opt to simply throw that entire steak, chicken, or vegetables away. That is literally throwing out profits with the garbage. Wasted food equates to wasted money, and inefficient equipment can be the reason. How do you prevent freezer burn in restaurants? 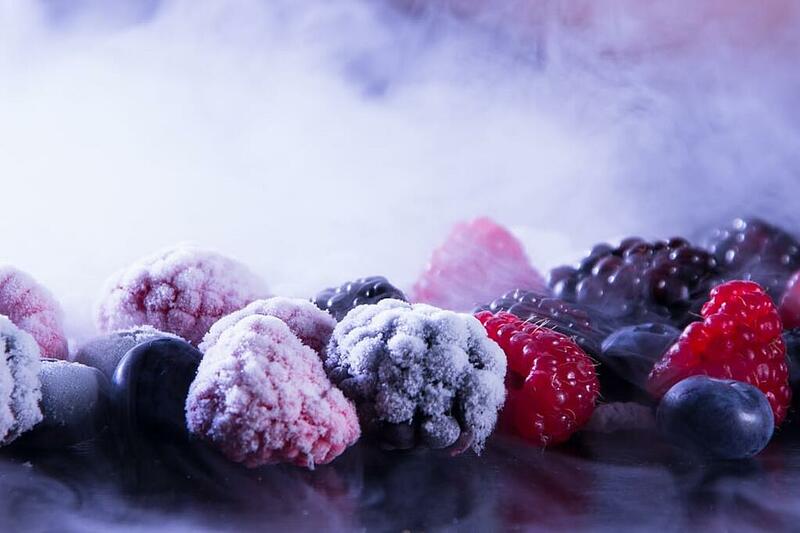 Prevent freezer burn and mitigate food waste with the right commercial refrigeration equipment. See how your foodservice operation can save on energy costs, while maximizing refrigerated storage space potential in the process. Watch the Eco-Cool video from RDT below to learn more.